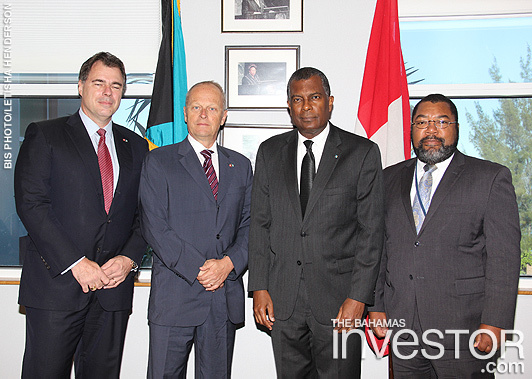 Non-resident ambassador designate of Switzerland to the Commonwealth of The Bahamas Beat Nobs paid a courtesy call on the Minister of Foreign Affairs and Immigration Fred Mitchell, March 10, at the Ministry’s offices. Hilary Vartanian, executive vice president and managing director of the Latin Trade Group, met with Hope Strachan, Minister of Financial Services, last week to discuss the Sino-Americas Summit being held in The Bahamas later in the year. Members of the Chinese People's Association for Friendship with Foreign Countries called upon Dame Marguerite Pindling, governor general, at Government House, March 10.